The dead try to reach us using the means they did in life, experts say. DENVER, Colo. — Researchers have identified a baffling paranormal phenomenon they’ve dubbed “texts from the dead” — and they say it’s becoming increasingly prevalent. The eerie messages from beyond are the modern equivalent of those inexplicable phone calls from the dead that have been reported since the late 19th century. Scientists from the Colorado Institute for Paranormal Research analyzed 132 mysterious texts received by loved ones hours, days or months after the phone’s owner passed away. And they confirmed that in 94 of those cases, the only reasonable explanation is that the messages originated in the Great Beyond. In one striking case, a 19-year-old New Mexico college student was killed in a head-on collision after a heated quarrel with her mother. The last text the mother received read, “Soree mom. 4 giv me.” Incredibly, investigation revealed that the message was sent two hours AFTER the teen was pronounced dead at the hospital. 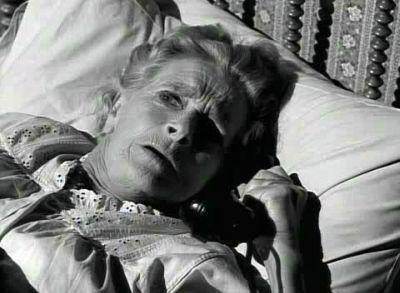 RECEIVING a phone call from a dead loved one can be unsettling, as in this “Twilight Zone” episode. The dear departed are not above sexting, researchers were startled to discover. Six months after a Minnesota man’s fiancée died of a brain tumor, he received a sexually explicit text from her phone. Uncannily, at the time the spicy message was sent, the deceased woman’s phone was in a kitchen drawer, uncharged, and the account had been deactivated. 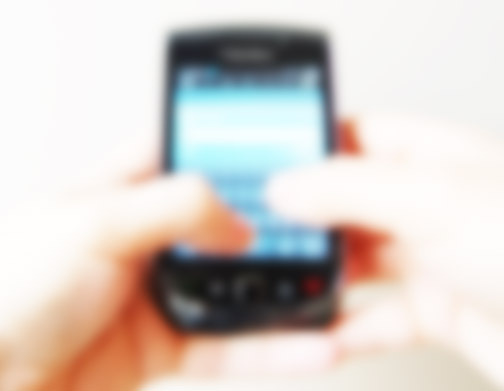 The first known case of what parapsychologists refer to technically as the “phantom text messaging effect” or PTME was in 2006 and since then the number of reports have steadily risen. In some instances a restless soul pours out a declaration of love or fires off a parting shot in the form of an insult, such as, “nvr lked U, A-hole.” Other texts are more mundane, such as reminders to pick up dry cleaning, horse racing tips, or the location of insurance documents. 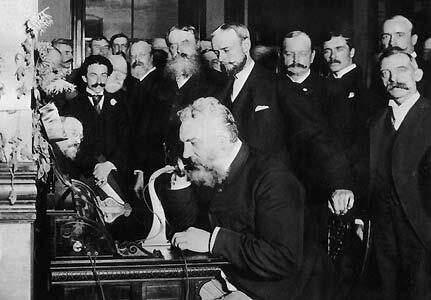 INVENTOR Alexander Graham Bell patented the telephone in 1876. While the phenomenon is relatively new, phone calls from the dead have been cited as proof of life after death — and have been a staple of ghost stories — for decades. “The first phantom phone call was reported in 1886, just ten years after Alexander Graham Bell invented the telephone, “ revealed Dr. Horn. “Three years after the Titanic sank, an S.O.S from the vessel was received by a Norwegian freighter, the first known ghost Morse Code message. The first fax from the other side was reported in 1987, a few years after the fax machine came into popular use. And emails from the dead began to crop up in the mid-1990s. “The departed are always trying to communicate with their loved ones and they use the means they were familiar with in life. With every technological advance, the paranormal application trails a little bit behind. The author of this article wrote the blood-curdling horror novel Hour of the Beast, considered by many the best werewolf story since The Howling. 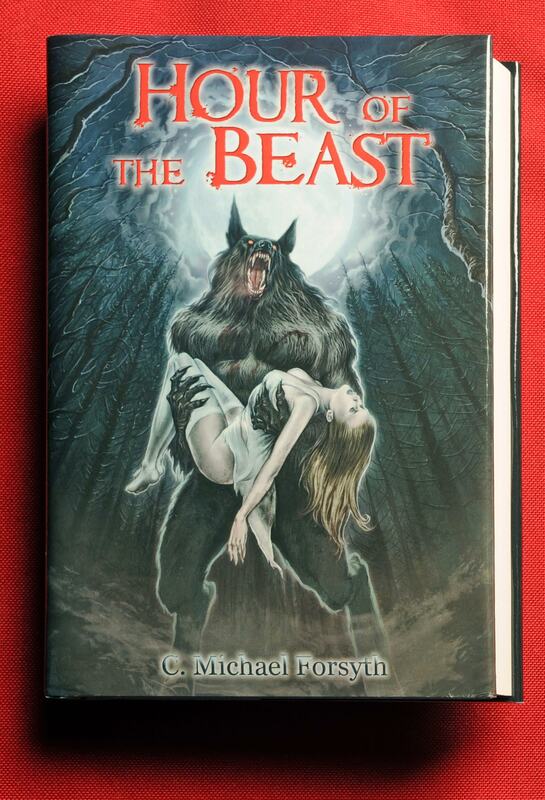 In the riveting first 13 pages, a woman is raped by a werewolf on her wedding night. After that, things start to get out of hand. « “Strippers Versus Werewolves” Bares More Than Fangs. My daughter has been receiving text messages from a friend that died a year ago. The deceased phone was disconnected and the number assigned to someone else. The text appears with the deceased’s name and old number and then disappears when she tried to reply to it. One message stated that “I am here with Paula and she is so cute.” My daughter did not know anyone named Paula asked her friend’s mother if she knew someone named Paula and indeed she did – she was an aunt of the deceased who died years ago. My mother passed away on the 18th of this month , the next day I received a text from her cell phone that said ” MN “and another that said ” by ” . I don’t know what MN means do you have any idea’s ? I thought it might mean moving now but I don’t know . I decided to look up this topic when the other day i got an odd text message on my phone. Did u contact ur aunt? My aunt has been dead for 7 years! It came from a phone number which is in existence but not anyone i ever knew. About eight months after a close friend of mine passed away, I began receiving texts from an unknown source. I say ‘unknown’ in that they would come across my phone as I was texting with another friend or family member. The texts appeared to have been sent by me but I did not type them. Then I began to receive unknown texts from the person I was texting with and they didn’t type them either. Whenever it happens, my deceased friend appears to be putting his ‘two cents’ into the conversation. Although our 10-yr friendship was volatile at times, we were very close friends, right up until he died. I remember the very first text I’d received after he’d died. I was talking to a family member about how I still had anger towards him for how he’d acted towards me sometimes when he was alive. Next thing I know, a text comes across saying that he’d noticed that I was still angry with him and that ‘nothing changes’ and that he just ‘deals with it’. I was completely floored! I’d never in my life experienced such a thing. He and I never texted in life but we used to email regularly. After he died though, I uninstalled the email app I’d used for his emails. So I goes he texts me to make sure I get the message right away. I’ve been getting texts from my boyfriend of 4 years, who committed suicide about a year ago. he talks as if nothing happened, like he’s still here. I attended his funeral and even keep in contact with his parents… I have no explanation and frankly I don’t know how to process the fact that this is happening to other people. should I continue answering? I had a dream about my brother, David, who died 23 years ago. The next day I was talking to someone about the severe difficulties he, my sister and I experienced at home as teenagers, and I became tearful. A few hours later my husband and I were texting back and forth. While awaiting one of his replies, I put my phone back in my purse and walked to my car. When I took my phone out of my purse, I saw my husband’s reply. I also saw, in the space where I would type something back to him, one word (which I had not written): David. He was saying hello and reminding me that he is never further away than my thoughts. Thank you, brother.